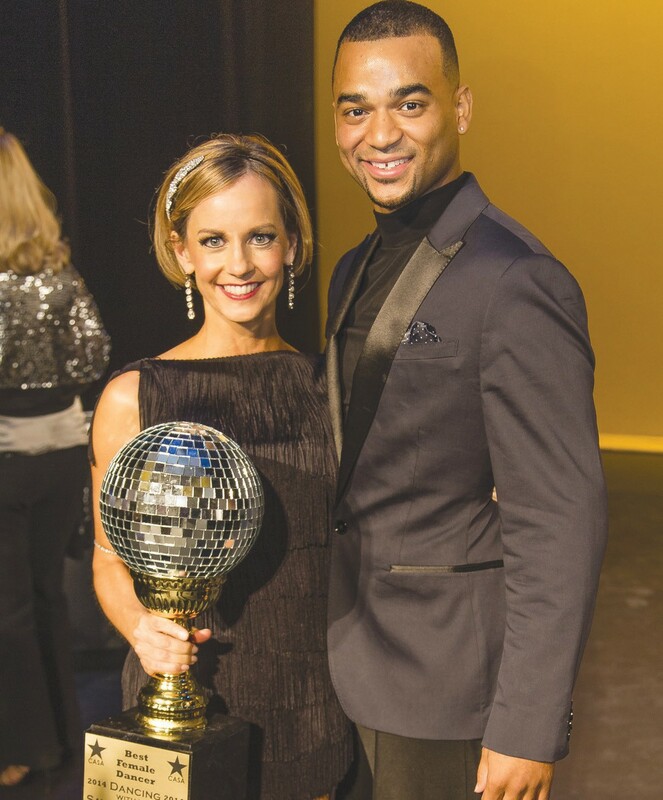 The 7th Annual Dancing with Savannah Stars, held on Thursday, October 2, 2014, was the highest grossing fundraiser yet for Savannah/Chatham County Court Appointed Special Advocates (CASA), Inc. Through the overwhelming support of event sponsors, donors and attendees, Savannah/Chatham CASA exceeded its goal of $80,000 to sustain programming needs and resources for abused and neglected children in the child welfare system. The program raised $101,601 including pledged sponsorships – and that amount continues to rise with continued support. Congratulations to the competition finalists! Best Male: Corey Jones, owner of Lucky Savannah Rentals. Best Female (tie): Shari Carney, Community Philanthropist, and Yael Elfassy, Pediatric Hospitalist with South Coast Medical Group. Top Fundraiser Jerry Rooney, President of Chatham Steel Corporation, raised over $23,000 for CASA. Bordeaux of Savannah’s City Council, Kristi Faircloth of Ugly Duckling Oboes and Mary Kay Independent Beauty Consultants, and Patrick Perry of SunTrust Bank. 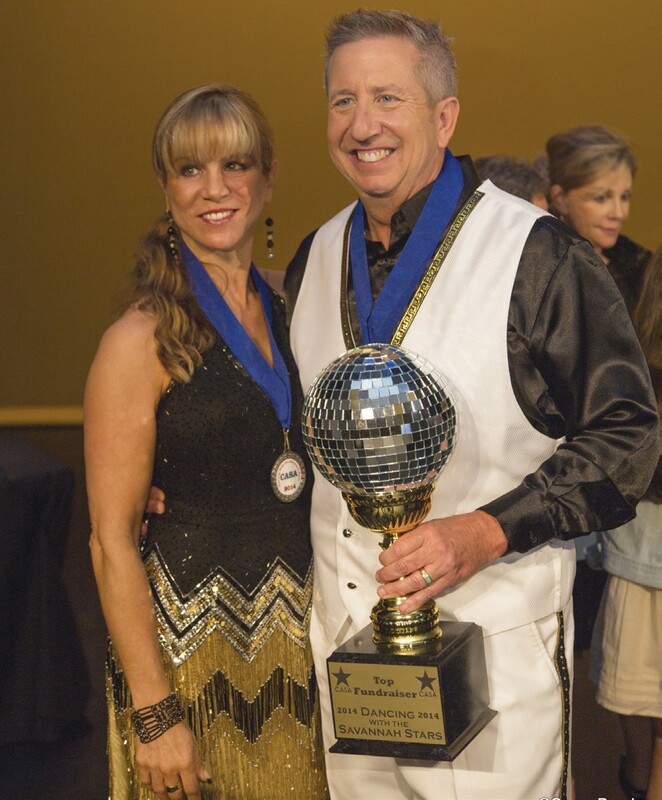 Professional dancers that choreographed, rehearsed, and performed included: Maria Hibbs of A&I Butterfly Ballroom; Alan Cloud of Essi’s Dance Studio; Rachael Moore, Jill Patania, and Jeff Trent of Salon de Baile; and Joza Marion (independent) and Mack McKenzie (independent). Event judges Robert Baugniet, Robin Greco, and Marc “Magic Marc” Dunston delivered encouraging commentary throughout the evening. Host Sonny Dixon of WTOC-TV entertained and charmed the crowd of nearly 400. Funds raised from the campaign will be used to support volunteer recruitment, management and advocacy of children in the child welfare system. As community partners in the child welfare system, CASA volunteers increase abused and neglected children’s access to services, promote safety, and advocate for timeliness and permanency for children involved in juvenile court proceedings.